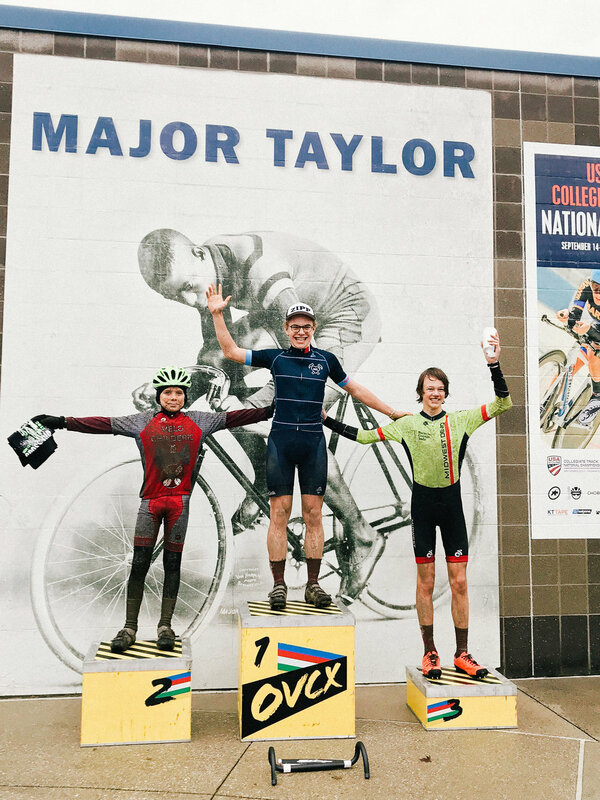 If the CX season didn't feel like it was nearing the end before Major Taylor, it sure feels like it now. Major Taylor hit everyone really hard. 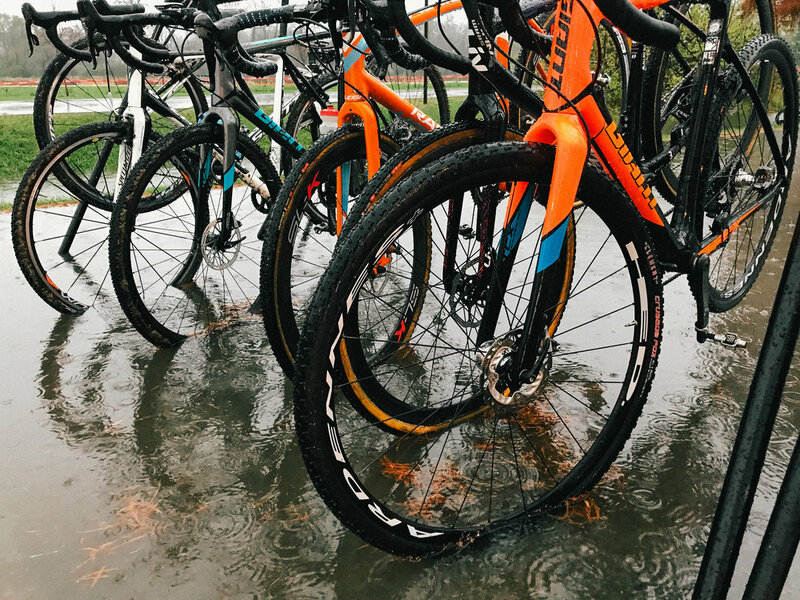 The third muddy, 2-day UCI weekend in about 4 weeks took its toll on riders, team managers, and families that brave the weather to support racing. We knew that the rain was coming all week and as Saturday arrived, we knew that we were in for warm temps, possible thunderstorms and higher winds. Saturday night was going to bring a cold front in and we were going to have to deal with everything left over from Saturday but in 30-35 degree temps. Not many were looking forward to the weekend, but we all mustered up the strength to fulfill our commitments. 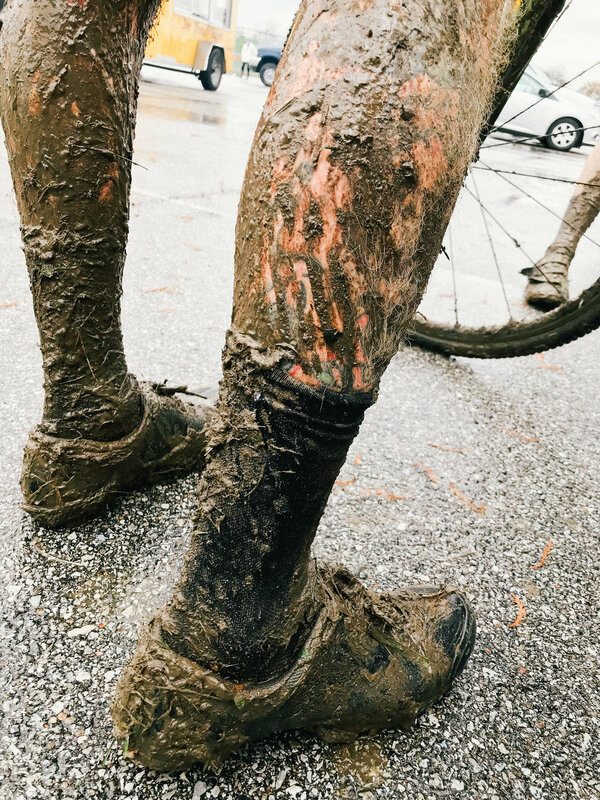 Saturday began with some muddy pre-riding to access the conditions before towing the line for the 8am Cat 5 race. With about 45 seconds to go before the whistle, lightening struck and we headed for our tents for the mandatory 30min delay. Not 5 minutes after getting back to the tent, it started to downpour and within a few minutes the bottom of the parking lot where we were began to flood and we realized that our newest tent is only water resistant and not waterproof. Lets just say we're grateful for the 60 degree temps as we huddle under a tent with our rain coats while holding it down from the 20mph gusts. Nearly defeated before we even began, the weather broke and they combined the first two waves to start nearly an hour later. Cat 4 and 5 along with several ladies categories started hard and into the standing water on the course. The 30 minute race was a battle of wills as we all tried to go as hard as we could. Andrew and Mike both took 3rd place podiums in their categories in that race while Dave took a strong 6th. 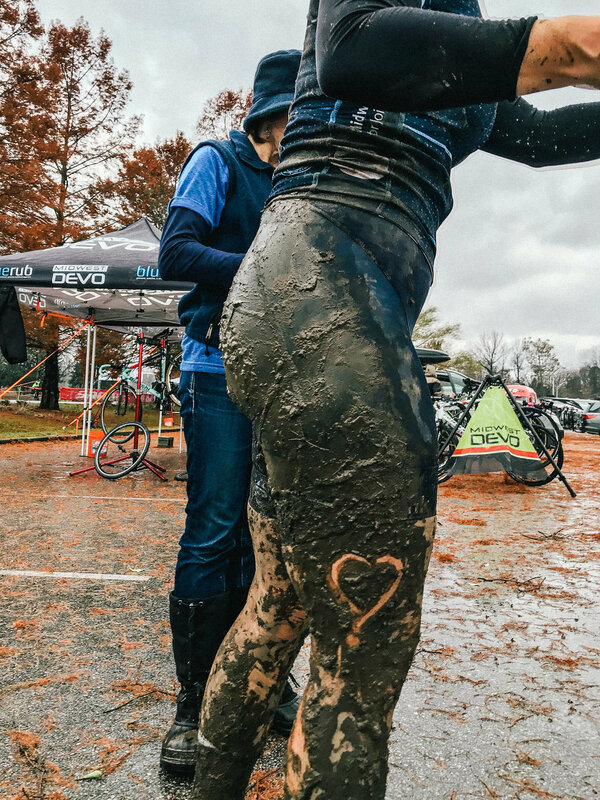 Racing went on per usual on Saturday and all post-race commentary was around just how muddy and wild it was. We took another few podiums with Paul and Nick doing great in their races. We spent the rest of the morning and early afternoon holding down our tents until all TNL riders were done. We chose to pack up early to take cover indoors before the Pro mens race where Josh was going to race. The weather got worse, races got delayed, and Josh chose to skip his Saturday Pro race for the comfort of home. We don't blame him. The dread came Sunday morning when we knew the afternoon rains brought in a cold front that would keep temps in the low 30s. 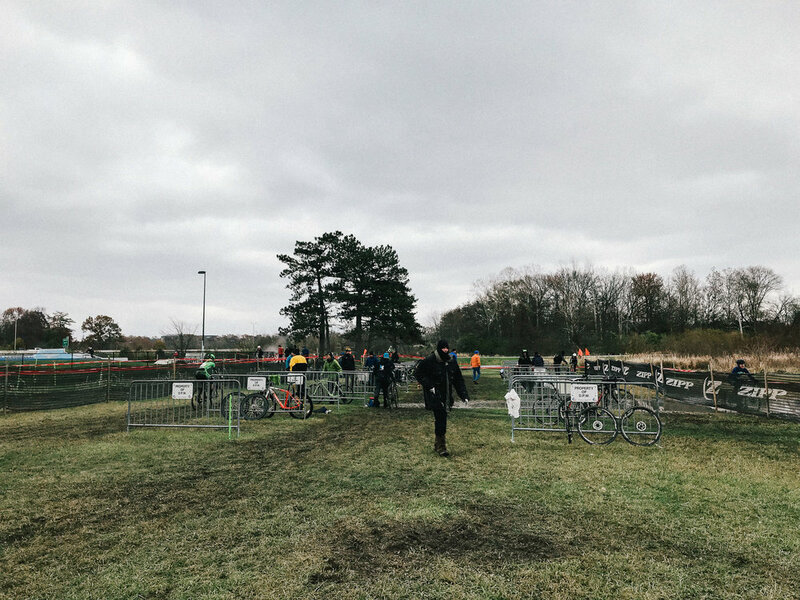 Arriving at the venue around 7am in 30 degree weather with the thought of having to get ready, do some pre-lap inspections in the wet mud, and be at the start line by 8am had me in a funk that was going to be a challenge to get out of. The conditions were on the border of not fun for an old guy that doesn't have much to prove athletically. The thought of having to deal with cold, wet feet and the cleanup process was almost too much to overcome. 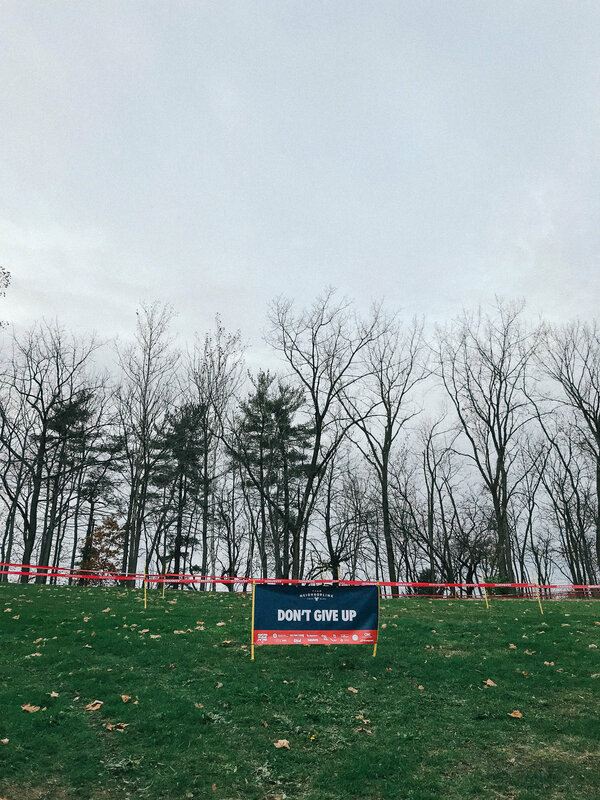 But, we have these banners up on the course at ever race that say "Don't Give Up," and those banners are as much about us as they are about those we're trying to inspire. 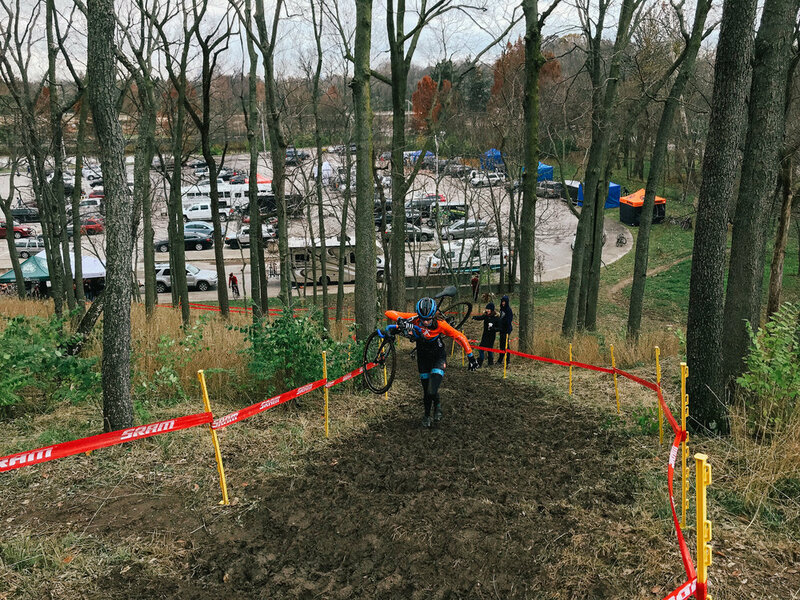 The gun goes off, the sprint to the first corner takes place, and as riders hit the first turn, they hit the wall of resistance called deep mud. 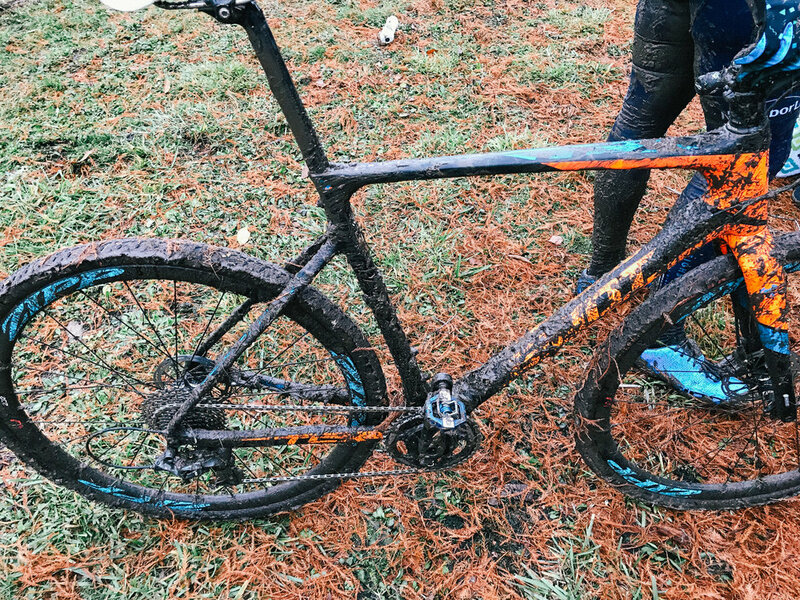 For the first 1/4 of the lap, it was 6" deep mud and standing water. It took every ounce of energy and power in your lowest gear to keep driving through it. It was as much soul sucking as it was energy sucking. Running this section in later races in the day would prove to be the best mode of transport through this section. Folks were riding into the pits, grabbing bikes in mid-air, throwing them on their shoulder and running out of the pits for as far as a hundred yards in some cases. The first 1/4 of the course was this thick, mushy mud. 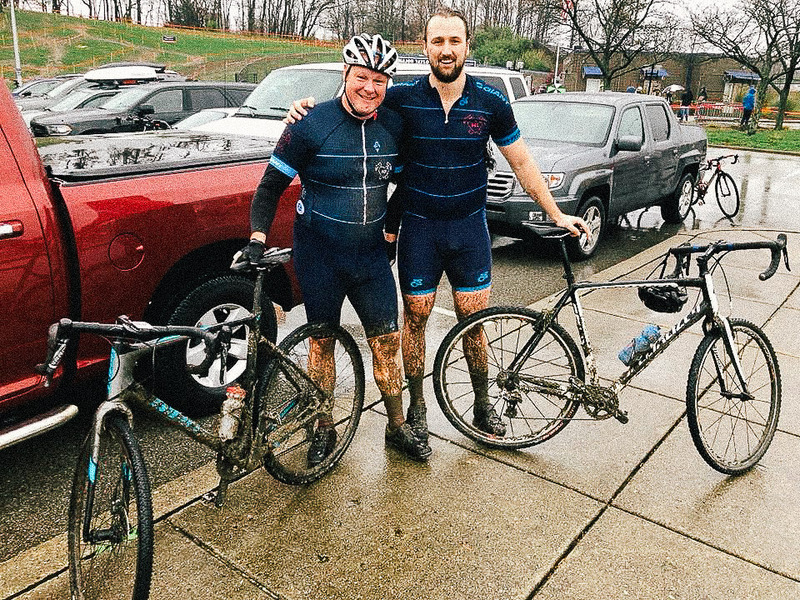 The next 1/3 of the course included some pavement and a giant hill that was a slip and slide that had the course weaving on the side of it, and the remaining sections of the course were under 3-6" of water. The fastest line through that section was right in the water, but as the days went on, the hidden holes got bigger and it was a bit like roulette as you could hit one and be thrown off the bike. The conditions were epic to say the least. 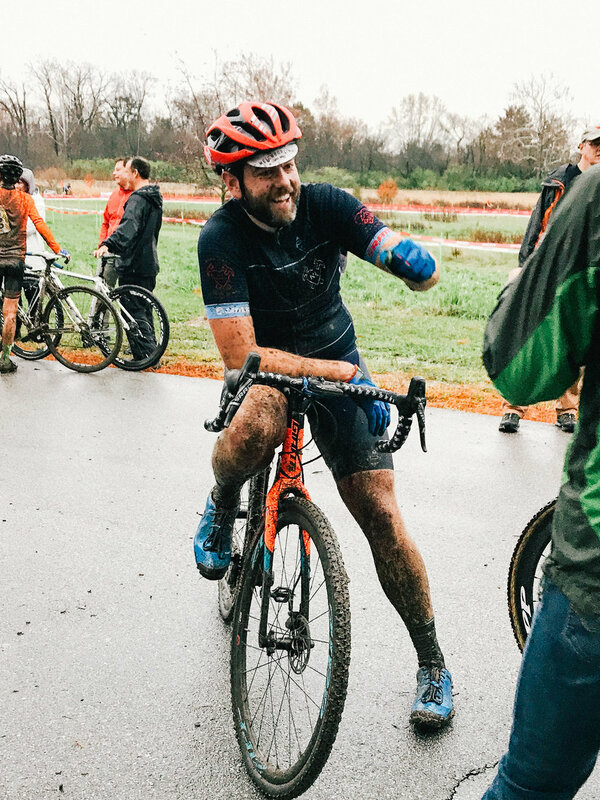 While we were all frozen cold and filthy, TNL riders continued to do well and nab a couple more podiums. The Berend family kept the spirits high all weekend with their delicious cooking and grill turned fire pit. 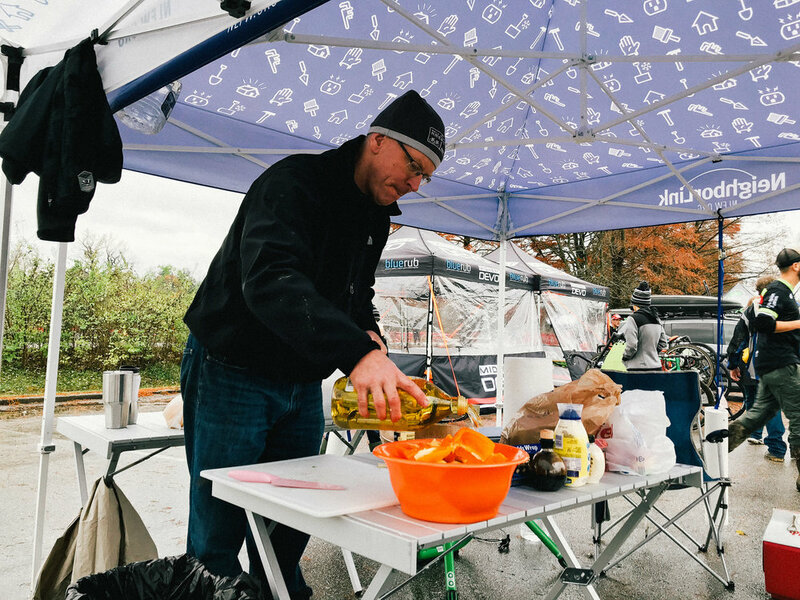 We had Utopian Coffee going, kinship in the pits, and a great time as usual watching all the racers brave the elements and their mental fortitude. We felt that our internal "grit" meters got a boost after surviving this weekend. 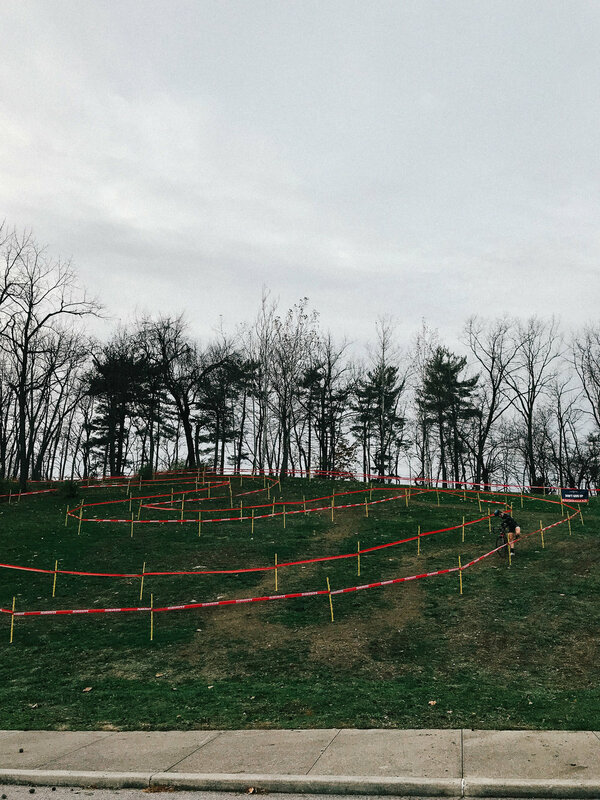 The CX season ends this coming weekend in Ohio with OVCX. We've got a few folks in contention for overall podiums, which would be a great cap for the season. We're looking forward to a massive heckle zone, the racing in decent temperatures/condition, and an after party with all our CX friends. 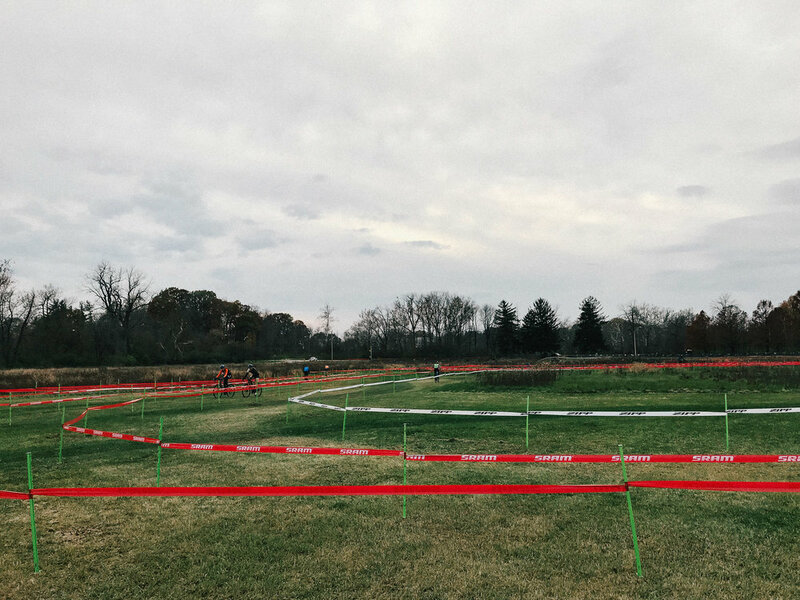 See you soon, OVCX.